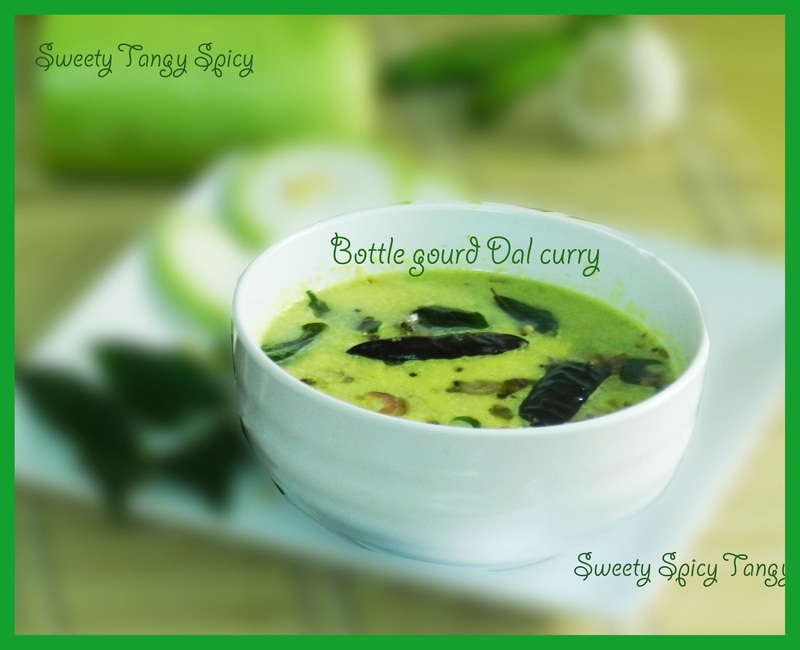 Bottle gourd toor dal curry- A simple South Indian dish natively known as churakka parippu curry. 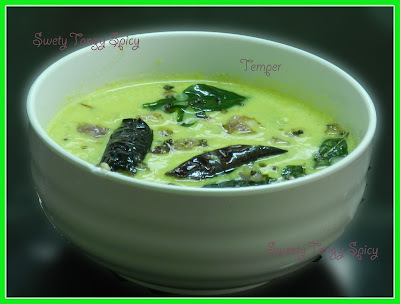 I used toor dal here, you can replace it with moon dal also. The bottle gourd was the least attractive vegetable for me until I made this dish.This recipe is for those who dislike bottle gourd. Just try it, you will also like this vegetable. 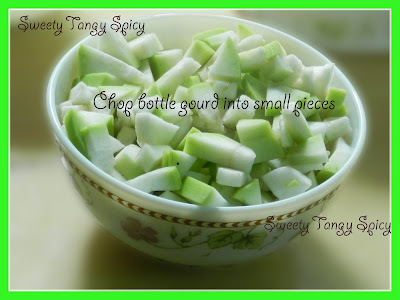 Wash thoroughly and remove the skin of bottle gourd and make small pieces of it and keep aside. 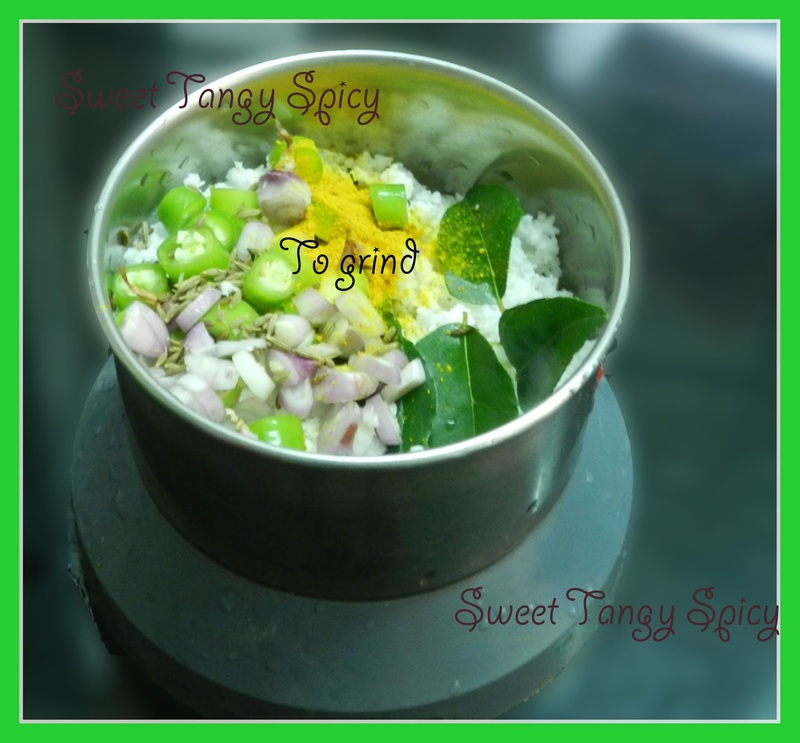 Grind together coconut, shallots, garlic, green chilly, curry leaves and cumin seeds (jeera) to get a fine paste. 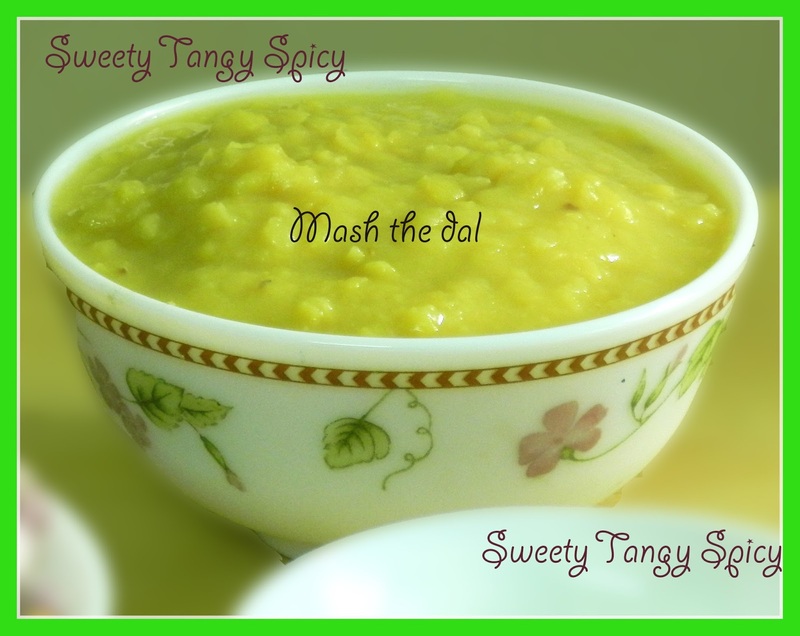 Pressure cook dal with one cup of water, switch off the stove after two whistles, wait until the pressure leaves completely, mash it with the back of the spoon and keep aside. In another pan, cook the bottle gourd with turmeric powder, salt and 3/4 cup of water. Cook covered. 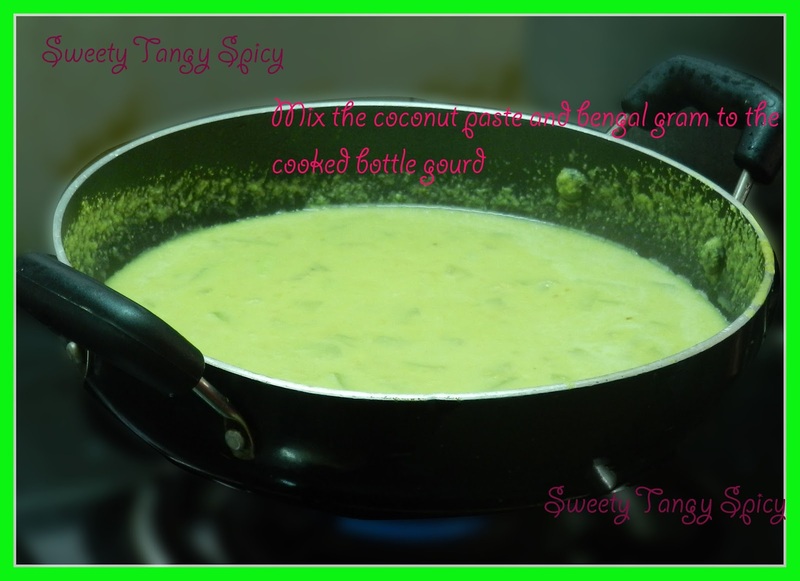 Mix the cooked bottle gourd with mashed dal and coconut paste. Cover with a lid. Let it boil for one minute. (Let the coconut paste to cook.) Immediately switch off the stove. 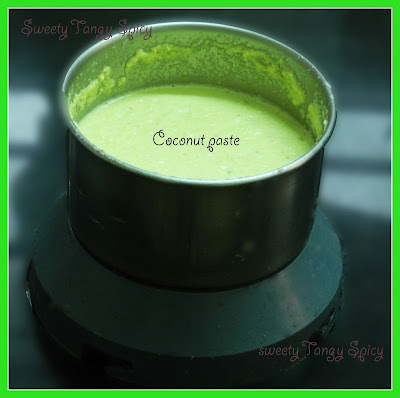 Heat two tablespoons of coconut oil in a pan, add ½ teaspoon mustard seeds, allow it to crackle, add curry leaves and chopped shallots, saute for a few minutes. 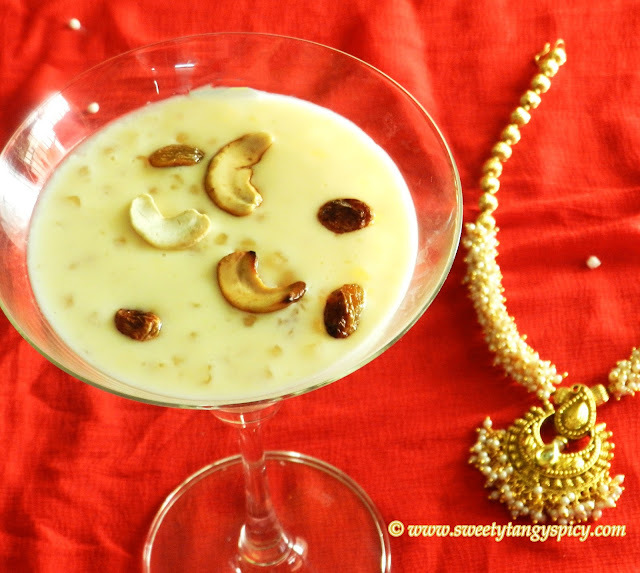 Switch off the stove and pour into the curry. 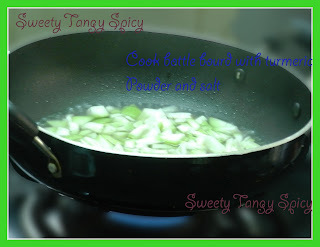 In another pan, cook the bottle gourd salt and 3/4 cup of water. Cook covered.